Looking for theory and Practical driving Test Preparation? This site will give you a lot off information you need to know to pass your driving test. 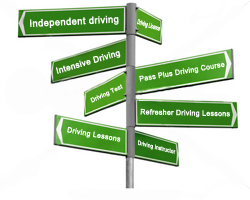 Information about how you can book your driving theory test when learning to drive, you’re nearest driving theory test centre in East London, what it costs and how long it takes. The practical driving test is a big moment in anyone's life, prepare as best you can with one of our DSA qualified driving instructors. In 1935 the driving test became compulsory in the UK., to reassure would-be drivers that the test was not something to fear. His commentary is witty and the film shows some of the hazards a new motorist might expect to encounter on the roads of the 1930s. This driving test information applies to UK, London and East London.